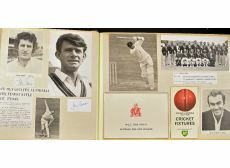 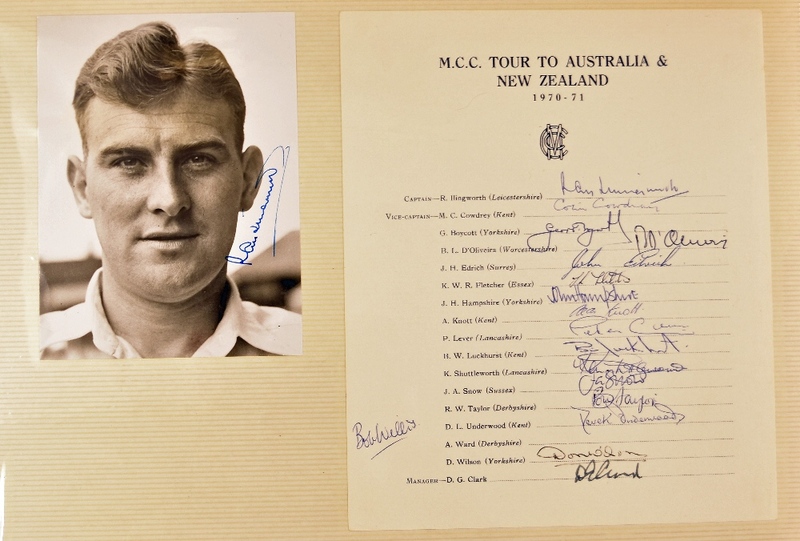 1970 to 1980’s Cricket Ashes Ephemera Album containing photos and photocards, of players and teams, team sheets including Australia 1972, 1977, 1979, 1980, 1981, M.C.C. 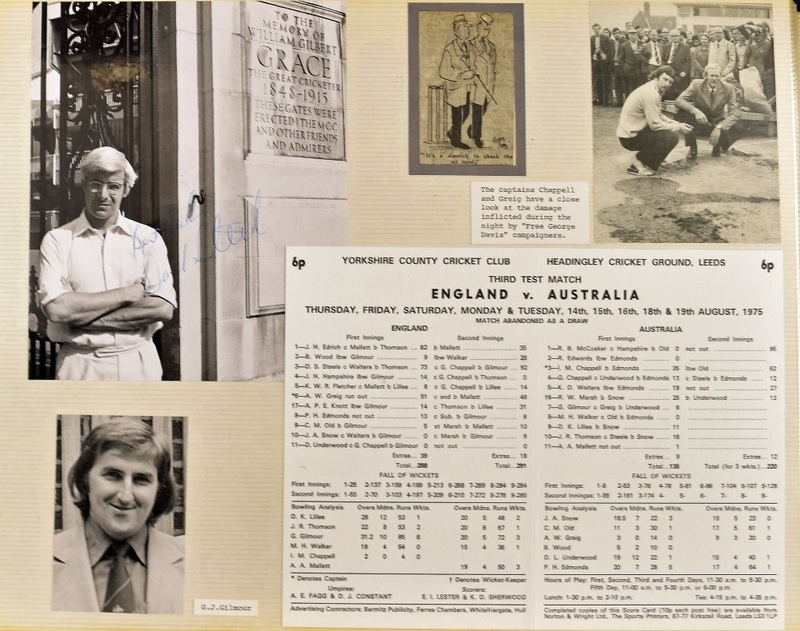 1974, 1976, 1979 and 1982, M.C.C. 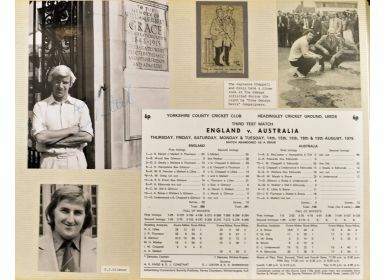 1970-71 Christmas card, BP 1970-71 fixture card, Australia 1972 fixture card, assorted signatures on paper and photos including Snow, Shuttleworth, Luckhurst, Thomson, Steele, Hogg, Gooch, Bob Simpson, Hayes, Dilley, Border, Lillee, Alderman and others, approx. 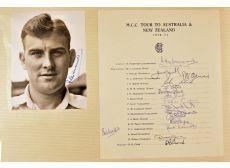 60 total, signed match sheets, Boycott signed 8” x 10” photograph getting Hundredth 100 dated August 11th 1977, newspaper cuttings and photos, covers, cornhill cards etc.